Disclaimer: I received entry into the Crystal City Twilighter to review as part of being a BibRave Pro. Learn more about becoming a BibRave Pro, and check out BibRave.com to review find and write race reviews! I'm super excited to announce some races I've added to my summer and fall schedule. 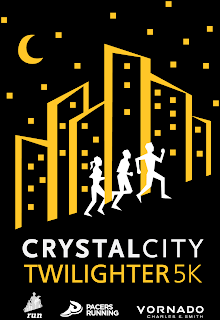 The first race I'd like to share with you is a local race here to the DMV (DC - Maryland - Virginia): the Crystal City Twilighter. 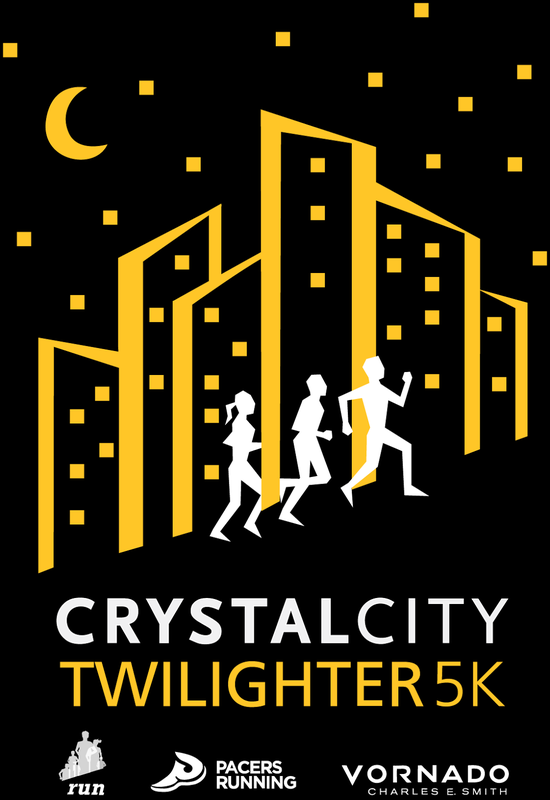 The Crystal City Twilighter is 5K part of a series of races put in by Pacers Running, a local chain of running stores. The race takes place July 22nd, in Arlington, VA. Now, before you say "why?!?!" to running a race in Virginia in July, what makes this different is that it takes place at 8:30 pm. That's right, this is a midsummer's night jaunt through Crystal City. This will be my first time running this race, or any Pacers event. I'm quite excited to run in Arlington and for a night time race. I've always wanted to run at night. I'll have to come up with something good to do involving lights or glow sticks, because that's just how I am. The registration includes a t-shirt, refreshments, glow sticks, and even some beer tickets for local establishments. Looking at 2016, it even includes free photos.